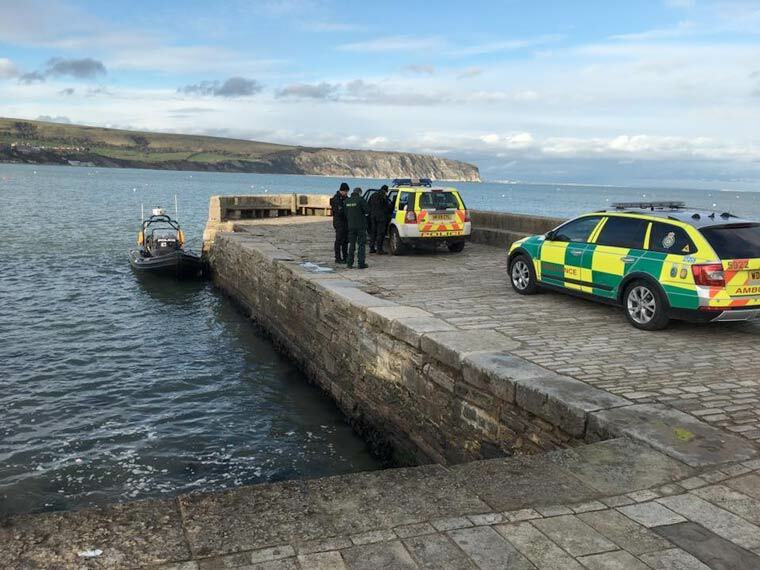 Dorset Police Marine Section and Swanage Neighbourhood Policing Team rescued a man from Swanage bay after he was spotted in difficulty in the water. A man in distress was spotted in the water in Swanage bay by a marine section officer on patrol in the area at around 4.30pm on 6 March. He was clinging to a buoy in the water after becoming exhausted and was unable to swim back to shore. The man – aged in his 40s – was taken by ambulance to Swanage Community hospital where he is expected to make a full recovery. Police Constable Bruce Murdoch, of the marine section, said, “This incident demonstrated great teamwork between the marine section, Swanage Neighbourhood Policing Team and the ambulance service. “If you are swimming in the sea alone, make sure you tell someone where you are going and when you are expected to return home. Ensure that you have someone watching from the shore who is able to call for help if necessary.